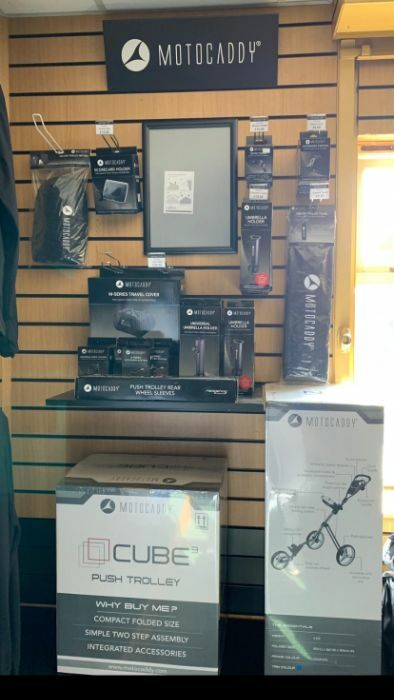 We have just had delivery of this years grip supply so we have had a move around and relocated the grip wall. 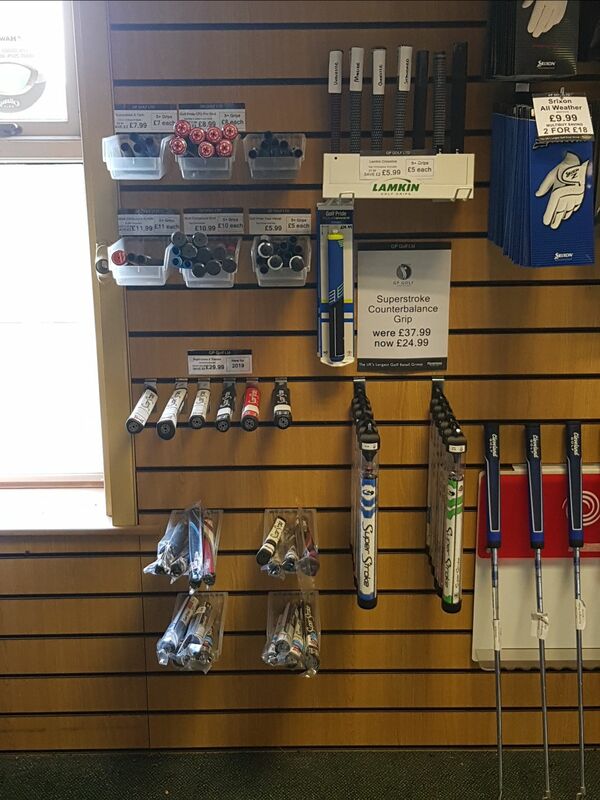 If you are thinking about having your clubs re-gripped for the season, call in and let us fit you for the correct size and model to help your game. Worn and slippy grips will only encourage you to grip tighter, never a good thing for anyone's game! We have models in stock from the big three manufacturers, Lamkin, Golf Pride and Superstroke, and in sizes from undersize to oversize. As some of you may already know we use air installation to fit our grips, this enables us to fit grips quickly, efficiently and precisely. Check out the video link to see how we do it. 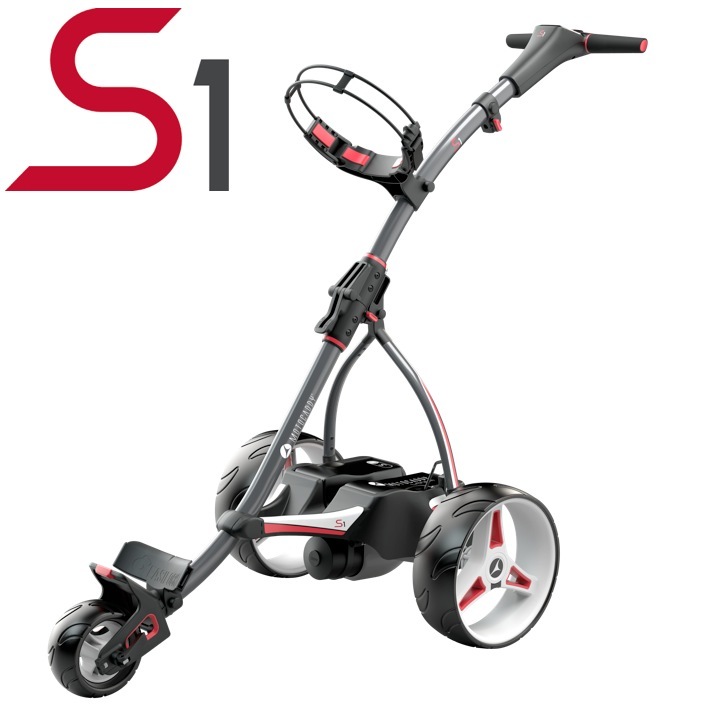 New in the store this week is the 2019 Motocaddy S1 Lithium Trolley..
We have also received delivery of new Motocaddy accessories to complement your trolley. 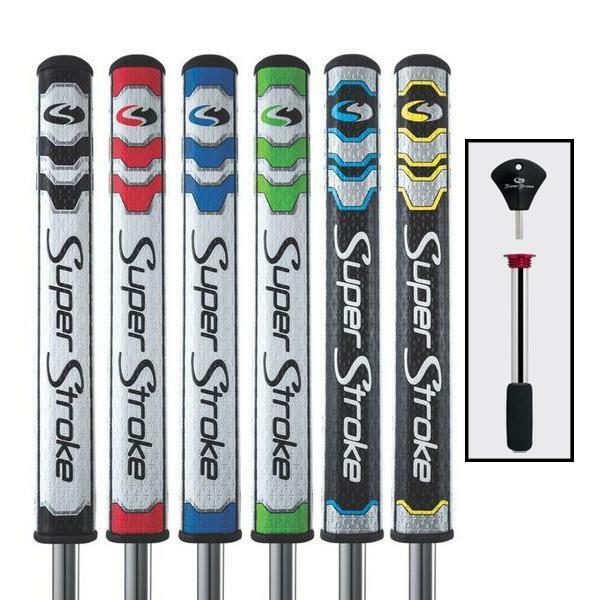 The fantastic Superstroke Counterbaland Putter Grip has all the technology of the normal Superstoke grips, but with the bonus of a 50g weight. This helps you to fine tune the weight and feel of the putter, to give added feel and consistency to your stroke. We have a limited stock which should sell for £37.95 per grip, but we have them at a one off price of £24.95 fitted!! That £5 cheaper than most of the big online retailers and they do not fit them for you!! On Thursday night I had the honour of attending this years LDUGC Annual Dinner at Elland Road. 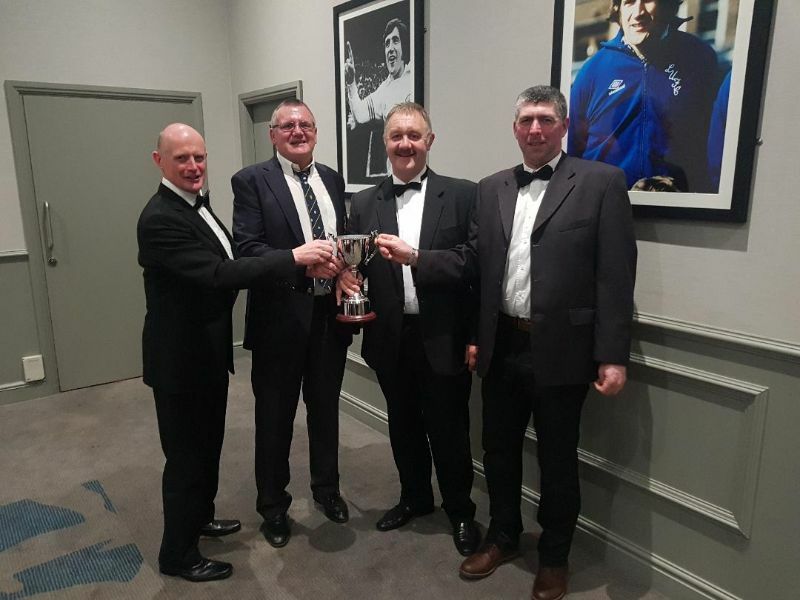 The highlight of the evening was to see our Club Captain, Dean Mountain accept the Seniors Knockout Trophy. It was the inaugural playing of the event, so we have the honour of being the first club on the trophy. The four members who competed during the rounds are Dean Mountain, Dave Finch, Des Lawson and Graham Hall. Very well done gents and best of luck defending!